Larger in scope than its predecessor, EverQuest II will be able to host hundreds of thousands of simultaneous users from all over the world. And, due to increased localization features including real-time translation in English, French, German, Japanese and Korean, as well as localized servers in select countries, players from every corner of the earth will be able to explore familiar areas and new, undiscovered territories of Norrath. With innovative in-game creatures, weapons and items EverQuest II promises something new for all subscribers. * A brand new 3D engine which takes full advantage of a wide variety of recent technological advances in 3D hardware/software such as per pixel lighting, dynamic environment mapping, and a fully programmable surface shader system. * More intuitive gameplay features appeal to both new and seasoned players. * New branching class structure that players define as they advance through the game. * Vast world of Norrath revisits familiar locations and introduces a variety of newly discovered areas in the Age of Destiny, a time period in the future of the original EverQuest. * Increased character customization capabilities allow players to customize characters’ faces, hair, and body types to create truly unique avatars. * Deeper character development offering pacing options that cater to game players new to the role-playing genre as well as experienced role-players. * Non-confrontational means of character advancement that including a completely new tradesman character class. * Rideable mounts and vehicles to own and control, including horses and boats, make traversing the massive world of Norrath faster than before. * Norrathian real estate for players to call their own. 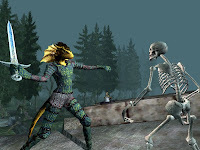 * Completely new and tactically rich combat, spell and skill systems. * A completely revised and enhanced quest system. * Dynamic world environment shaped by player events. After the success that Blizzard had with their World of Warcraft mounts, now is the time for Sony Online Entertainment to follow their lead and sell some $25 mounts for EverQuest II. The EverQuest team at Sony Online Entertainment decided to offer a few more achievements for players of EverQuest II. 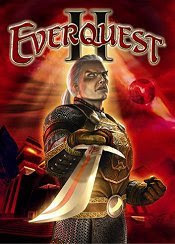 If you have friends who have been thinking about trying EverQuest II, then there's no better option than the Everquest II Complete Collection, already in stores.